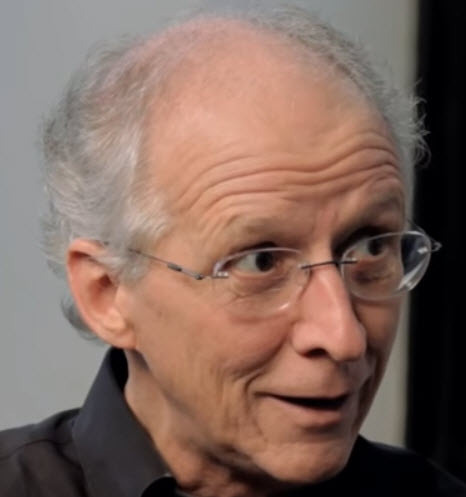 Is John Piper an antinomian? 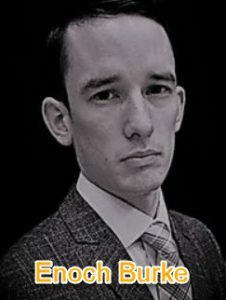 Christian hedonism, the doctrine of John Piper, is based on the premise of Blaise Pascal that “all men seek happiness.” This is a philosophical construct, however, that makes faulty assumptions about human nature. Piper’s promotion of this doctrine is jeopardising truth and injuring the ability of impressionable young people to discern truth from error. 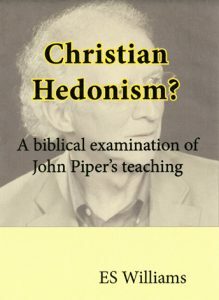 Piper acknowledges that he uses a variety of words as synonyms in his defence of Christian hedonism: happiness, satisfaction, pleasure and joy. All of these words are feelings. A feeling is defined by the Collins Dictionary as an “emotional reaction; intuitive understanding; sensation experienced.” Thus, for Piper, all of life is to be summarised as a chasing after feelings, and accepting this as a fact that is key to a right relationship with God. The Scripture never once affirms that all men, directly or indirectly, seek the same thing. It does, however, regularly deal with the issue of what human beings seek. One of the most well-known Beatitudes, for example, and the only one which specifically references desire, states “Blessed are they which do hunger and thirst after righteousness: for they shall be filled” (Mt. 5:6). The human desire here commended by Christ is one focussed on attaining righteousness. The Bible does not support the notion that all fallen human beings are motivated by a desire for happiness. In fact, in the most significant Scripture texts dealing with man’s fallen condition, other motivations for human action are to the fore. In Genesis 3, for example, Eve is motivated to take the forbidden fruit when she “saw that the tree was good for food, and that it was pleasant to the eyes, and a tree to be desired to make one wise” (3:6). There is no mention here of happiness as a motivator; rather, “to make one wise” suggests that Eve desired to attain a knowledge which did not rightfully belong to her. Perhaps the most significant passage of Scripture which debunks Piper’s theory is Romans 1, one of the core texts in Scripture which deals with the sinfulness of humanity. Paul frames his portrait of the human race here not in hedonistic terms, but using the Biblical language of truth and error, light and darkness, worship of God and idolatry. Sinful man is defined not by a misdirected desire for happiness (the paradigm Piper proposes), but by his ungodliness, unrighteousness and suppression of the truth: “the wrath of God is revealed from heaven against all ungodliness and unrighteousness of men, who hold the truth in unrighteousness” (1:18). Piper may counter this observation by proposing that underneath this hatred of truth lies misplaced desire; this suggestion, however, is to construct an unfalsifiable hypothesis and to depart from the realm of rational discourse. Piper’s approach here reminds one of infinite regress: Piper is incapable of being disproven because any suggested motivator can merely be refuted by assertion of a deeper, unseen motivator (i.e. hedonism). Apostle Paul focusses on the loss of reason which man incurs as a result of sin, rather than any unfulfilled desire for happiness (Piper’s focus). Man is depicted as rebelling against clearly revealed truths (1:19-20), adopting futile thinking (1:21 – “vain in their imaginations”), becoming a fool (1:22), and eventually being given over to a “reprobate mind” (1:28). Man’s subsequent actions are described as “not convenient” (1:28) and man himself as “without understanding” (1:31). The 19th century commentator Joseph Benson expounds on the portrait of Romans 1:21 as follows: “Absurd, stupid, and ridiculous in their reasonings, concerning God’s nature and worship; entangling themselves with a thousand unprofitable subtleties, which only tended to alienate their minds more and more from every truly religious sentiment and disposition.” The chaotic path of sinful man culminates in loss even of shame: Paul describes the sin of Sodom as “men with men working that which is unseemly” (1:27). Unseemly here can be translated “shameless”: man loses even the shame generated by a conscience aware of God’s natural law. Shame indicates at least a knowledge of what is right and acceptable, and its absence is a sign of greater degradation and wickedness. The uniqueness of Christianity lies in its power to lift man from a state of self-imposed darkness and judgment to a state of peace with God. This is the meaning of “grace.” Paul does not boast of a reformed happiness in his prologue to the Romans. Rather, he highlights the power of Christ to save and break sin’s shackles. This was Paul’s testimony, for “by [Christ] he had received grace and apostleship, for obedience to the faith” (1:5) and he wished that the recipients of his letter would enjoy a heightened appreciation of these benefits: “Grace to you and peace from God our Father, and the Lord Jesus Christ” (1:7). 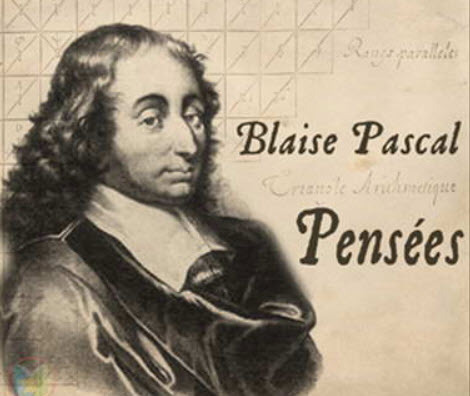 Blaise Pascal, whose philosophy forms the bedrock for Piper’s theory, has been described as a “Christian humanist” (interestingly, Pascal, though born 102 years after the publication of the 95 Theses, never left the Catholic Church). Humanists take inspiration from the pagan Greek philosopher Protagoras who declared “man is the measure of all things.” Hedonism, of course, fits firmly within the frame of humanism with its focus on pleasure rather than God. The reason Christians will always reject the term “Christian hedonism” is that it is an unsuccessful attempt to wed two opposite principles: orientation to Christ (“Christian”) and orientation to man (“hedonism”). These are opposite ends of the spectrum of life, or rather two different roads. It matters not whether they share, temporarily, common feelings: there is joy in serving Jesus (Rom. 5:2,11), but also pleasure in sin (Heb. 11:25). For two thousand years, Christians have spoken of the Christian life in terms of conversion to a life of obedience to God, where God was the sole object of the soul’s attention (Acts 9:6). The Christian’s hope is the culmination of all things in the eschaton “that God may be all in all” (1 Cor. 15:28). To speak in any other language, or to frame this in unscriptural terms is a disservice to God’s people. The only zeal which consumes the Christian is that for God: “the zeal of thine house hath eaten me up” (Ps.69:9). It is little wonder that Piper, with his philosophy of Christian hedonism, finds little fellowship in the spirit and language of the imprecatory psalms. A self-seeking philosophy places little value in defending the cause of God’s name in the wider world, outside the boundaries of one’s own skin. Human nature requires simplicity of instruction and clarity of speech. Those who confuse the “way that leadeth to destruction” and the “way which leadeth unto life” (Mt. 7:13-14) are doing the devil’s work and not God’s. Blaise Pascal, Pascal’s Pensees (New York: E. P. Dutton, 1958), p. 113, as quoted in John Piper, Desiring God (Colorado Springs: Multnomah Books, 2011), p. 19. See The Pied Piper: Is John Piper and New Calvinism Destroying the Church (Castlebar, Ireland: Burke Publishing, 2017) available at http://www.thepiedpiperbook.com and through book retailers. In this book, I examine the fruit of John Piper’s teaching and argue that his teaching, both in its doctrine and effects, constitutes a marked departure from the Christian faith (Jude 3). A further book which critically assesses the errors of Piper’s doctrine is E. S. Williams, Christian Hedonism: A Biblical Examination of John Piper’s Teaching (London: Belmont House Publishing, 2017). Martin Luther, as quoted in Greg Allison, Historical Theology: An Introduction to Christian Doctrine (Grand Rapids, MI: Zondervan, 2011), p. 88.